Home News PayLite using your Citi Credit Cards and get exclusive gifts! PayLite using your Citi Credit Cards and get exclusive gifts! There’s never been a better time to use PayLite with your Citi Credit Cards. 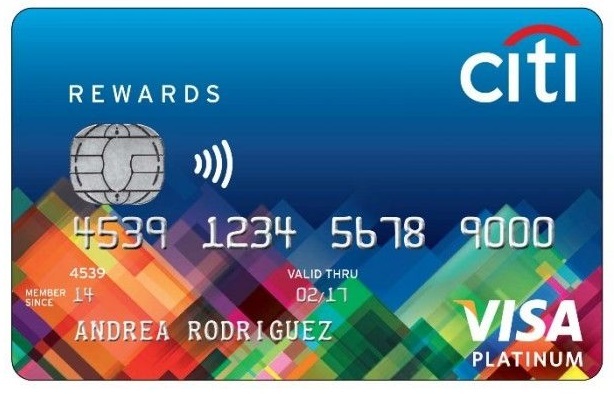 From now until October 31, 2015, Citi cardholders who shop at participating stores will receive exclusive gifts, plus free buffet dining vouchers with qualifying spend. Citi has partnered with BLIMS Fine Furniture, one of the leading furniture stores in the country to give cardholders P2,500 worth of free BLIMS gift certificates with every P50,000 PayLite spend. Citi cardholders who make appliance purchases at partner stores worth P50,000 using PayLite can also earn any of the following gifts: Hanabishi HIC-300C Ultra Slim Induction Cooker with Stainless Steel Pot worth P2,595 at SM Appliance Center, Imarflex Griller GL-2300 worth P2,900 at Robinsons Appliances, and Midea 20L Microwave Oven worth P2,695 at Western Appliances. A single-receipt transaction worth P25,000 on major appliances at Automatic Centre will get cardholders a free gift certificate worth P1,000 from the same establishment as well. Buying the latest gadgets? There are also surprises in store for you with P50,000 PayLite purchase. For starters, PayLite for up to 12 months with a single-receipt transaction worth P50,000 at Switch and get a free MiPow Thumbox Jelly Power Portable Battery worth P1,999. Mobile enthusiasts who shop at least P25,000 with PayLite can enjoy a free 32 GB Micro SDHC UHS I-Card worth P1,399 from Fone Style, or claim a free Silvertec Bluetooth Speaker valued at P1,350 if they shop at Octagon and Micro Valley. Citi cardholders can also redeem free Urbanears Bagis, or Ye!! BT210c Selfie Stick, both priced at P1,350, or YE! BA 500 Selfie Stick worth P1,250 with qualified purchase at Digital Walker. Or take your pick from Sony headphones when you spend a minimum single-receipt purchase of P25,000 on featured items or, a free Sony portable router and powerbank-in-one when you spend a minimum single-receipt purchase of P50,000 on featured items at 0% Citi PayLite up to 24 months at AV Surfer and Sony Centre by Avid. Cardholders who invest at least P50,000 in the ultimate audio experience offered by Bose with Citi PayLite will be entitled to free Bose FreeStyle Earbuds worth P6,500. More techie stuff are waiting at Beyond The Box, where clients can get free Marshall Minor Earphones worth P2,590 or a Momax Juice 10,000mAh Powerbank worth P2,750 for P50,000 single-receipt purchase. Meanwhile, with just a minimum spend of P50,000 at 0% Citi PayLite up to 24 months in any participating Power Mac Center, Citi cardholders can get a free iTech MyVoice 312 Music Edition Bluetooth Headset worth P1,100 plus another free Belkin Bluetooth Music Bridge worth P2,200. Exciting add-ons await clients who are into wellness and body care. When you PayLite services worth P50,000 they can already enjoy the following freebies: Endermologie Treatment at Marie France, Luxe Whitening Treatment worth at Facial Care Center and Two Scalp Treatments at Svenson. For fine jewelry investments of at least P50,000 at 0% Citi PayLite at Miladay, get a free pair of stud earrings worth P2,820. But that’s not all. Citi cardholders can also enjoy a free buffet meal for one at Vikings, Four Seasons Hotspot City or NIU by Vikings when they PayLite a minimum single-receipt purchase of P25,000 at any of the above retail partners until October 31, 2015. Through all these exciting promotions, Citi continues to express gratitude to its loyal cardholders in ways no other bank can offer. “We are committed to bring the best values to our cardholders and will launch more irresistible offers, even beyond our 25th year,” shared Tan.